The long-waited Geo Tracking is now available. No fancy chart. Just a practical table, with detailed breakdown of the total clicks, unique clicks, real visit, response and conversion. You can sort the table in whichever way you like to find out which country gives you the best result. If you have any more suggestions for The Real Tracker, send them in. We are always looking for ideas to improve our service. Wow!!! now, we know which country the clicks and visits come from. Hoping you could have statistics for active and inactive referrals and their activity like number of credits earned for the day or weeks so that we could monitor who are active and we know who will be put into sponsor’s url rotator for those who promotes their team link. And another one, for leadsleap widget, hope also you could have statistics for impressions, clicks, credits earned, and geotracking. Very Very Cool! I was just checking out my T.R.T. links, and I love to have this specific type of info, so if anyone ever does any kind of tracking, then they should be very excited about this! This is fantastic and exciting news. I was wondering when you were going to do this. Thank you for making Leadsleap so very beneficial for online marketers. What is really needed is the ability to have your ad seen by only selected countries (for example, Tier 1 countries only) with the option for all other countries to be redirected to a secondary ad. This is especially important for paid advertising where your offer is only valid in certain countries. This feature can be added to our link rotator. Let me look into it. Thank you,Kris, for introducing me to this comprehensive lead gathering machine. The real tracker is becoming the best free tracking online. This feature is amazing. It really worthy for us, because Geo tracking is important for online biz. 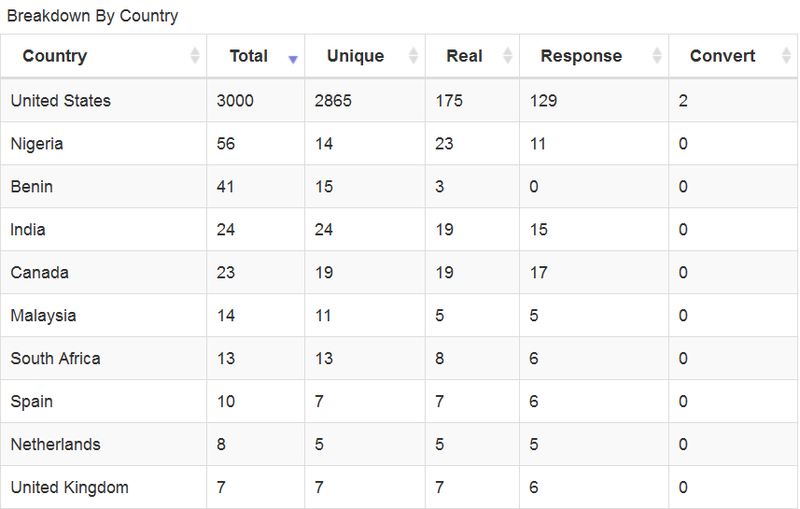 Very handy indeed, filtering by country helps me re-target more specifically to each country. Very Nice! I was just read-through out my T.R.T. pages, and I like to have this detailed type of information, so if anybody ever does any kind of tracking, then they should be extremely thrilled about this!